Haukos, D.A. 2011. Mottled Duck Focal Species Plan. U.S. Fish and Wildlife Service, Regional Migratory Bird Office, Albuquerque, New Mexico. 40pp. Smith, L.M., S. T. McMurry, J. O’Connell, and D.A. Haukos. 2011. Influence of U. S.
Department of Agriculture Programs and Conservation Practices on Ecological Services Provided by Playa Wetlands in the High Plains; CEAP Wetlands Final Report to the USDA. Parrish, D. L., M. E. Mather, and E. A. Marschall. 2010. Population modeling of Atlantic salmon in Vermont tributaries of the Connecticut River. Progress report to NMFS. Cully, J. F. 2009. 2009 Project report: Black-tailed prairie dog colony mapping at the Kiowa and Rita Blanca National Grasslands. Photocopy on file at Cibola National Forest Office, Albuquerque. Haukos, D.A. 2009. The status of mottled ducks on the western Gulf Coast. U.S. Fish and Wildlife Service, Regional Migratory Bird Office, Albuquerque, New Mexico. 34pp. Proffer, M., and C. Paukert. 2009. Zooplankton Dynamics of Marion Lake. Report to Kansas Department of Wildlife and Parks and US Army Corps of Engineers. Frank, H. 2009. Evaluation of pre-spawning movements of anadromous alewives in the Ipswich River using radiotelemetry. MS Thesis, University of Massachusetts, Amherst, MA. Haukos, D.A. 2008. Analyses of selected midwinter waterfowl data (1955-2008) in Region 2 (Central Flyway portion). U.S. Fish and Wildlife Service, Regional Migratory Bird Office, Albuquerque, New Mexico. 94pp. Haukos, D.A. 2008. Analyses of selected midwinter waterfowl data (1955-2008) in Region 2 (Pacific Flyway portion). U.S. Fish and Wildlife Service, Regional Migratory Bird Office, Albuquerque, New Mexico. 32pp. Haukos, D.A., and P. McDaniel. 2008. Results of long-term monitoring of lesser prairie-chicken habitat on the Milnesand Prairie Preserve, The Nature Conservancy of New Mexico. The Nature Conservancy, Santa Fe, New Mexico. 49 pp. Haukos, D.A. 2007. Evaluation of aerial monthly surveys on Texas Coastal National Wildlife Refuges from 1985-2007. U.S. 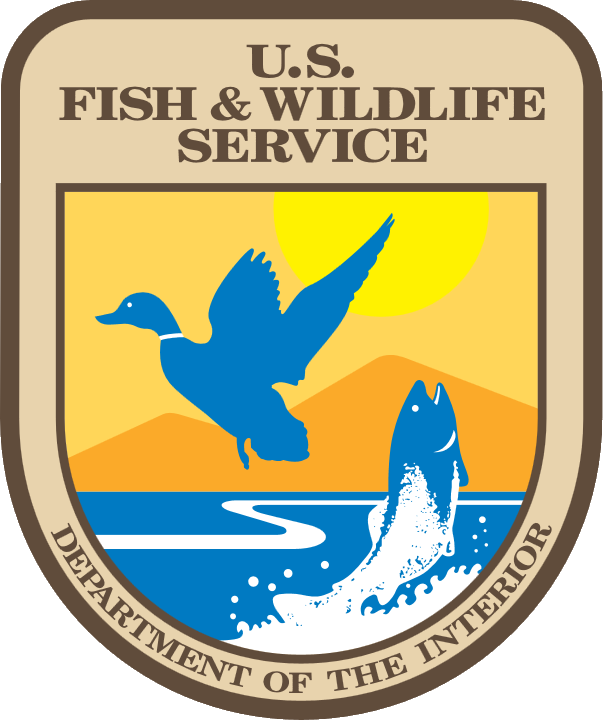 Fish and Wildlife Service, Regional Refuge Migratory Bird Office, Albuquerque, New Mexico. 56pp. Saalfeld, S.T., W.C. Conway, D.A. Haukos, and M.B. Rice. 2008. Local and geospatial landscape analysis of habitat use by long-billed curlews breeding in the United States. Final Report submitted to the Migratory Bird Office, Region 6, U.S. Fish and Wildlife Service, Denver, Colorado. 67 pp. Rice, M.B., D.A. Haukos, and J. Dubovsky. 2008. Assessment of pintail band recovery data. Final Report submitted to the Migratory Bird Management Office, U.S. Fish and Wildlife Service, Arlington, Virginia. 121 pp. Haukos, D.A. 2007. Characteristics of urban playa wetlands. Pages 33-36 in K.A. Playa Lakes Symposium 2007, Texas Cooperative Extension Service, Amarillo, Texas. Paukert, C., C. Berry, and K. Pope. 2007. Topeka shiner 5-year review and workshop. Report submitted to US Fish and Wildlife Service and Topeka Shiner Recovery Team. 15 June 2007. 92 pages. D. Helmers, M. Hickman, B. Howe, J. Jorgenson, S. Skagen, and H. Whitlaw. 2007. Shorebird Conservation Plan for the Playa Lakes Joint Venture. PLJV, Lafayette, Colorado. Schloesser, J. T., and C. P. Paukert. 2007. Walleye harvest restrictions to minimize gizzard shad impingement. Final report submitted to Wolf Creek Nuclear Operating Corporation. 27 January 2007. Kelley, J., M. Banker, D. Dessecker, D. Haukos, D. Krementz, D. McAuley, N. Myatt, W. Palmer, T. Post, and S. Williamson. 2006. American Woodcock Conservation Plan, Woodcock Task Force, Migratory Shore and Upland Game Bird Working Group, Association of Fish and Wildlife Agencies. Haukos, D.A. 2006. Preproject proposal for establishment of a Playa Wetland Management District. U.S. Fish and Wildlife Service, Regional Refuge Planning Office, Albuquerque, New Mexico. 18pp. Eitzmann, J., A. Makinster, and C. Paukert. 2005. Population dynamics of blue suckers in the Kansas River. Final Report, Kansas Department of Wildlife and Parks. Cully, J. F., Jr. and T. L. Johnson. 2004. Annual Report: Prairie Dog colonies Five National Grasslands. Presented to U.S. Forest Service, Comanche, Cimarron, Kiowa and Rita Blanca, and Thunder Basin National Grasslands. Paukert, C. P., M. McInerny, and R. Schultz. 2004. Current and historical black bass regulations in North America: A survey conducted by the Centrarchid Technical Committee of the Northcentral Division of the American Fisheries Society. Centrarchid Technical Committee, Northcentral Division, American Fisheries Society. Cully, J. F., Jr. and T. L. Johnson. 2003. Annual Report: Prairie Dog colonies Five National Grasslands. Presented to U.S. Forest Service, Comanche, Cimarron, Kiowa and Rita Blanca, and Thunder Basin National Grasslands. Thomas, L., J. Whittier, N. Tancreto, J. Atkins, M. Miller, and A. Cully. 2003. Vital signs monitoring plan for the Southern Colorado Plateau Network: Phase I report. National Park Service, Southern Colorado Plateau Network, Flagstaff, AZ. Haukos, D.A., J. Taylor, and K. Stone. 2003. Assessment of the decision to disperse waterfowl from the San Luis Valley, Colorado. U.S. Fish and Wildlife Service, Regional Migratory Bird Office, Albuquerque, New Mexico. 20pp. Mather, M. E., M. P. Carey, and A. N. Norris. 2003 Marsh-Billings-Rockefeller National Historic Site: freshwater fish inventory and monitoring final report. Final Report to the National Park Service. Mather, M. E., M. P. Carey, and A. N. Norris. 2003. ROVA National Historic Site: freshwater fish inventory and monitoring final report. Final Report to the National Park Service. Haukos, D.A. 2003. Wintering waterfowl trends on the Myrtle-Foester-Whitmeyer tract of Aransas NWR 1999-2003. U.S. Fish and Wildlife Service, Regional Migratory Bird Office, Albuquerque, New Mexico. 9pp. Cully, J. F., Jr. and T. L. Johnson. 2002. Annual Report: Prairie Dog colonies Five National Grasslands. Presented to U.S. Forest Service, Comanche, Cimarron, Kiowa and Rita Blanca, and Thunder Basin National Grasslands. Cully, J., S. Egbert, J. Harrington, T. Hornemann, G. Kaufman, C. Lauver, E. Martinko, and K. Price. 2002. A Gap Analysis of Kansas. Kansas Cooperative Fish and Wildlife Research Unit, Manhattan, Kansas. Carey, M. P. 2002. Evaluating patterns and processes of community structure along a gradient of variables: context-specific mechanisms that impact yellow perch. M.S. Thesis. University of Massachusetts, Amherst, MA. Cully, J. F., Jr. and T. L. Johnson. 2001. Annual Report: Prairie Dog colonies Five National Grasslands. Presented to U.S. Forest Service, Comanche, Cimarron, Kiowa and Rita Blanca, and Thunder Basin National Grasslands. Abstract of presentation to landscape ecology of plague in the American Southwest. Edited by Chris Brand - National Wildlife Health Lab. Madison, WI. Mather, M.E. 2001. Hotspots and pits: assessing basin-wide mechanisms for success and failure of juvenile Atlantic salmon sites throughout the Connecticut River basin. Final Report to the U.S. Forest Service. Gipson, P. S., B. E. Flock, R. D. Applegate, M. W. McCoy, and K. E. Kemp. 2001. Macro and micro-habitat use by ring-necked pheasants in northwestern Kansas. Final report to the Kansas Department of Wildlife and Parks. Gipson, P. S., J. S. Johnson, and J. S. Pontius. 2001. Scent stations: a non-invasive tool to determine habitat selection and use of primitive roads by mammals. Final report to the United States Army, Fort Riley, Kansas. Van Why, K. R., R. D. Applegate, T. T. Cable, and P. S. Gipson. 2001. Survey of wild turkey hunters: experiences, opinions, and satisfactions. Kansas State University Agricultural Experiment Station and Cooperative Extension Service, Report 874. 25 pp. Pacific Flyway Study Committee and Central Flyway Webless Migratory Game Bird Technical Committee. 2001. Pacific and Central Flyways Management Plan for the Four-Corners Population of band-tailed pigeon. Pacific Flyway Council, USFWS, Portland, Oregon. 28pp. Haukos, D.A., J. Neaville, and J. Myers. 2001. Body condition of waterfowl harvested on the upper Texas coast from 1986-2000. U.S. Fish and Wildlife Service, Regional Migratory Bird Office, Albuquerque, New Mexico. 60pp. Kalita, P., M. Hirschi, L. Schieferecke, S. Bhuyan, P. Woodford, and P. Gipson. 2000. WEPP model measures runoff and erosion on military training lands. Resource: engineering and technology for a sustainable world. December: 13-14. Haukos, D.A. 2000. Conservation of freshwater wetlands adjacent to the Laguna Madre of Texas and Mexico. U.S. Fish and Wildlife Service, Regional Migratory Bird Office, Albuquerque, New Mexico. 10pp. Haukos, D.A. 1999. Biology of whistling ducks: Spanish translation for distribution at workshops in Mexico. U.S. Fish and Wildlife Service, Regional Migratory Bird Office, Albuquerque, New Mexico. 5pp. Haukos, D.A. 1999. USA Flyway System, Waterfowl Surveys, Harvest Surveys, and Banding Program. Spanish translation for distribution at workshops in Mexico. U.S. Fish and Wildlife Service, Regional Migratory Bird Office, Albuquerque, New Mexico. 11pp. Anderson, J.T. and D.A. Haukos. 1999. Breeding ground affiliation of white-fronted geese in north-central Texas. U.S. Fish and Wildlife Service, Regional Migratory Bird Office, Albuquerque, New Mexico. 22pp. Haukos, D.A. 1998. Participation in USFWS Region 2 goose collar observation network: Southern High Plains 1997-1998. U.S. Fish and Wildlife Service, Regional Migratory Bird Office, Albuquerque, New Mexico. 5pp. Anderson, J.T. and D.A. Haukos. 1998. Waterfowl use of National Wildlife Refuges and Management Units in the Upper Texas Coast Zone. U.S. Fish and Wildlife Service, Regional Migratory Bird Office, Albuquerque, New Mexico. 111pp. Haukos, D.A. 1998. Assessment of American woodcock in Region 2. U.S. Fish and Wildlife Service, Regional Migratory Bird Office, Albuquerque, New Mexico. 17pp. Haukos, D.A. 1998. Playa Lakes in P.J. Wishart (editor). The Encyclopedia of The Great Plains. University of Nebraska Press, Lincoln. Haukos, D.A. 1998. The value of water to common flora and fauna of playas. Pages 71-74 in L.L. Triplett (editor) The great Plains Symposium 1998: The Ogallala Aquifer- Determining the Value of Water. The Great Plains Foundation, Overland Park, Kansas. Anderson, A.M., W.C. Conway, and D.A. Haukos. 1997. Geographic distribution - Gastrophryne olivacea. Herpetological Review 28:48. Anderson, A.M. and D.A. Haukos. 1997. Geographic distribution - Gastrophryne olivacea. Herpetological Review 28:48. Anderson, A.M. and D.A. Haukos. 1997. Geographical distribution of amphibians in the Panhandle, Southern High Plains, and Rolling Plains of Texas. Technical Report, Department of Range and Wildlife Management, Texas Tech University, Lubbock. 21pp. Smith, L.M. and D.A. Haukos. 1997. Ecology and management of playa lakes. Pages 9-10 in C. Britton and D. Wester (editors). Research Highlights - 1996, Noxious Brush and Weed Control, Range, Wildlife, and Fisheries Management, Texas Tech University, Lubbock, Texas. Anderson, A.M., J.T. Anderson, and D.A. Haukos. 1995. Gastrophryne olivacea (Great Plains narrowmouth toad). Herpetological Review 26:207. Anderson, A.M., J.T. Anderson, and D.A. Haukos. 1995. Pseudacris clarkii (spotted chorus frog). Herpetological Review 26:208. Haukos, D.A. 1995. Management of playa wetlands impacted by agriculture. Pages 110-113 in S.O. Foster, S. Pas, S. Rush, and O. Thorne (editors). Proceedings of the Symposium on Issues and Technology in the Management of Impacted Wildlife, Glenwood Springs , Colorado. Thorne Ecological Institute. Smith, L.M. and D.A. Haukos. 1995. Demonstrating and testing moist-soil management plans for waterfowl and nongame birds in the Playa Lakes Region. U.S. Fish and Wildlife Service, Regional Migratory Bird Office, Albuquerque, New Mexico. Haukos, D.A. 1994. Management of playas for wildlife enhancement. Pages 267-276 in L.V. Urban and A.W. Wyatt (editors). Proceedings of Playa Basin Symposium, Water Resources Center, Texas Tech University. Haukos, D.A. 1994. Potential effects of wind turbines on migratory birds. U.S. Fish and Wildlife Service, Regional Migratory Bird Office, Albuquerque, New Mexico. 18pp. Haukos, D.A. and L.M. Smith. 1993. Seed-bank richness of playas in relation to disturbance. Pages 562-568 in M.C. Landin (editor). Proceedings of the 13th annual meeting of the society of Wetland Scientists, New Orleans, Louisiana. Haukos, D.A. and L.M. Smith. 1992. Ecology of playa lakes. U.S. Fish and Wildlife Service, Waterfowl Management Handbook. Leaflet 13.3.7. 7pp. Haukos, D.A. and L.M. Smith. 1991. Management of playa lake vegetation for wintering waterfowl. Management Note 14, Department of Range and Wildlife Management, Texas Tech University, Lubbock. 4pp. Haukos, D.A. and L.M. Smith. 1991. High plains chickens strut the stuff. Texas Parks Wildl. Mag. 49(3)44-47. Haukos, D.A., L.M. Smith, and G.S. Broda. 1988. The use of radio-telemetry to estimate lesser prairie-chicken nest success and hen survival. Proc. Internat. Biotelemetry Symp. 10:237-243.